The importance of education in the recovery was highlighted so brilliantly in Sam Branson’s video, with a touching story of young girl setting up a school in her own home after Irma. We continue to focus a lot of our efforts on education and youth engagement. This includes working with the government to support the rebuild of the public high school at the Bregado Flax Educational Center (BFEC) on Virgin Gorda. 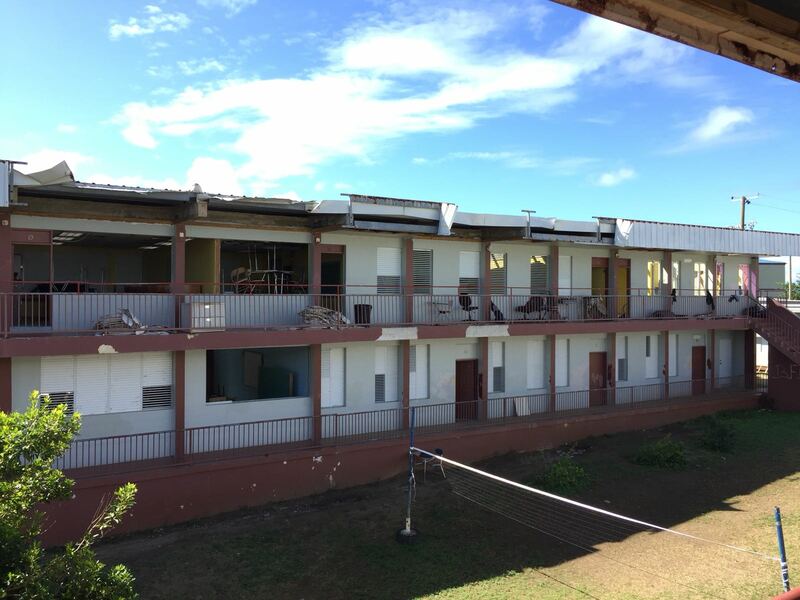 Structural surveys and new architectural drawings for a resilient rebuild, demolition, and other preparatory works have been completed, and the construction work to rebuild the roof on the main classroom block at the secondary school is beginning. We have provided more funding to the Chromebook project. This project is procuring 650 computers for the Ministry of Education for public high school seniors and teachers, and two private high schools that operate as nonprofits and whose student's belong to lower socioeconomic households. We are also providing funds and working with the Ministry of Education to integrate this technology in the classroom, including providing teacher training. We have provided funding to the Youth Empowerment Project (YEP) and Mentoring Anointed Leaders Everywhere (MALE), two fantastic youth engagement and empowerment organisations in the BVI. These grants have enabled them to purchase mini-buses so that they can expand their reach across the BVI. We have also been supporting summer programmes with both organisations and a computer lab for YEP. In addition we have supported Write to Read, a summer program that focuses on enriching literacy skills among elementary school age public school students who have fallen behind due to the hurricanes delaying the start of school in 2017. We are also supporting disaster risk reduction and resilience training. Team Rubicon UK is a disaster response charity that built an impressive reputation in BVI whilst working with local and international partners and the local community in the immediate aftermath of Hurricane Irma. This year, Team Rubicon are back in the BVI promoting disaster preparedness and, to support their work, we have provided funding to train local non-governmental organisations and community groups to self-organise and be prepared to respond effectively in the event of another disaster. This capacity building is a very important element for the resiliency of the BVI. Funding was also provided to support an NGO coordinated effort, in collaboration with the Department of Disaster Management, to train CERT teams (Community Emergency Response Training) in 13 communities across the 4 main islands in the BVI. Read more about our education work here.